﻿﻿I first visited Chenjiagou two decades ago and have been back close on twenty times now, the last time just a few months ago. Over that time the transformation of the village has been nothing short of staggering. In the early years there was still a rural, raw and unregimented feel to the place, now it is really like a small town. Two months ago I stood on the seventh floor of Chen Ziqiang’s new seven-storey building to take in the panorama of modern Chenjiagou with its own stadium, high rise museum, modern supermarkets and wide roads. Some changes are welcome eg. well stocked pharmacies, good roads instead of mud tracks and internet access. Others are less positive - where before you could walk across open fields to visit and train near to the memorials of past generations of Chen ancestors, today you have to pay and go through a turnstile where the memorial stones are set inside a Taiji theme park and managed by the local tourist board. The event showcasing the Taijiquan skills of the people of Chenjiagou provided a timely reflection on this change and the need to celebrate the uniqueness of the village and the villagers themselves. Chen Bing declares the event open! 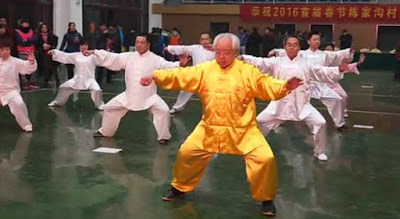 Last week Chen Bing’s Taijiquan Academy in Chenjiagou reported on a new event created to showcase the village’s own Taijiquan players with the announcement that: “on the third day of Chinese New Year the inaugural Chenjiagou Taijiquan Exchange and Competition took place … the first meeting in several centuries of Chenjiagou’s Taijiquan players”. 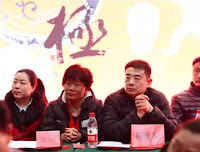 The event was a celebration of Chen Village Taijiquan, rather than being a showcase for any one particular school or lineage. The Spring Festival is the most important festival for Chinese people and is by tradition the time when families come together for “family reunion”. It dates back to the Shang Dynasty (1600 BC – 1100 BC) when people would sacrifice to gods and ancestors at the end of an old year and beginning of a new one. 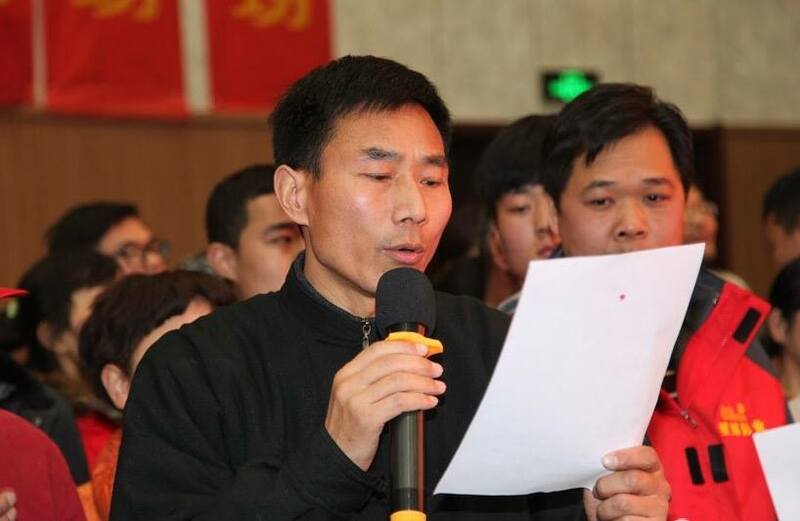 All people living away from home do their utmost to go back to their families and, during this time China’s transportation system of planes, trains and automobiles groans under the stain of the largest annual migration of people on the planet. 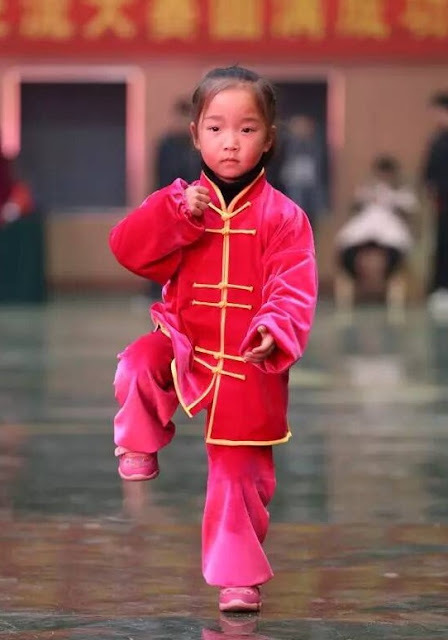 Taking advantage of the many practitioners coming home to Chenjiagou, Chen Bing, organiser of the event, brought together a dazzling array of Taiji talent. Over 300 people took part. Internationally feted masters demonstrated alongside practitioners who have stayed in the village quietly training away from the eyes of the world. Spanning the generations, the oldest practitioner was close on 100 years old – the youngest four years old. 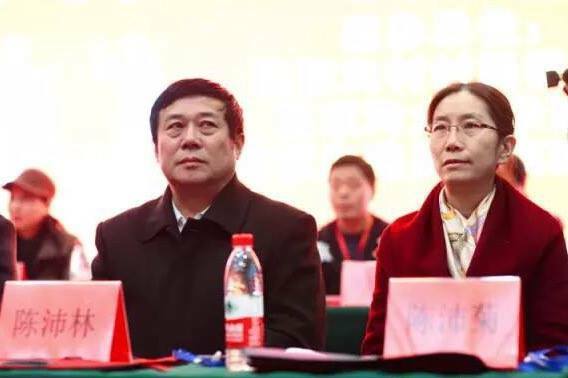 Also attending were Chen Xia and Chen Zhiqiang (not to be confused with Chen Ziqiang), both of whom I first encountered way back in 1997 during our first visit to Chenjiagou. On that sweltering July day instructors of the Chenjiagou Taijiquan School treated us to a series of demonstrations in the main hall of the school. 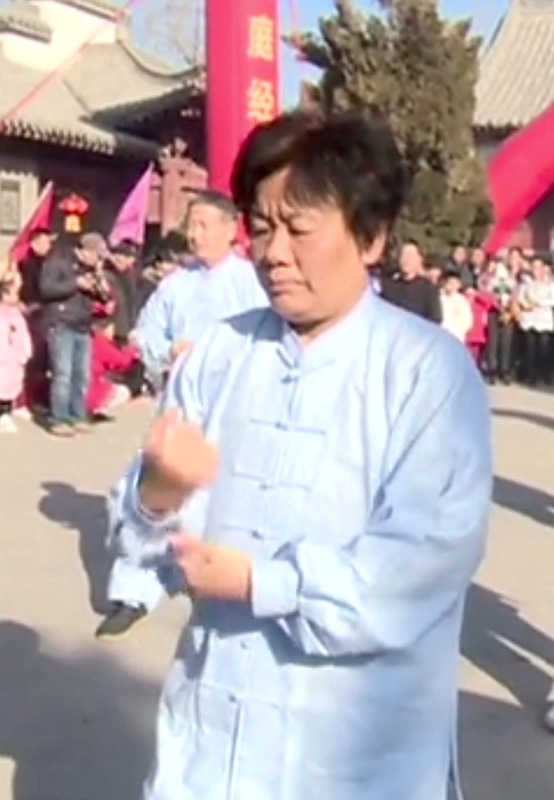 Chen Xia demonstrated Laojia Yilu and her performance still sticks in my mind as one of the best demos I have seen by a female practitioner. After the various performances of forms and weapons had finished it was announced that there would be a demo of push hands. 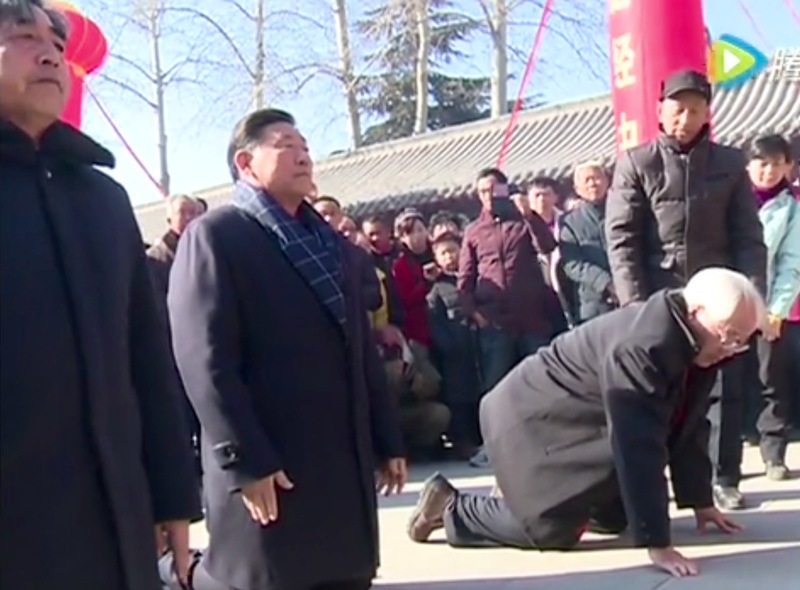 I’d had some success in British push hands competitions and was put forward as one of three people to try push hands Chenjiagou style against Chen Zhiqiang. He was intense and powerful and gave us a reality check on what competitive push hands was really about! Afterwards we found out he was the reigning China National 75kgs champion. 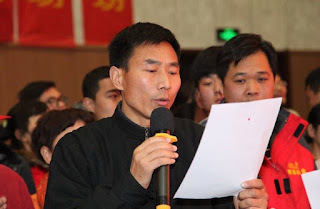 I’ve heard little of Chen Xia and Chen Zhiqiang in the intervening years - in China there are many accomplished practitioners that we don’t hear about in the West. The Chenjiagou Taijiquan Exchange and Competition is planned to be an annual New Year event to showcase the continuity of taijiquan in the village. The event itself consisted of the expected forms, weapons and push hands divisions, but the highlight was a “Taiji Families Team” category. This novel category encouraged Taiji families comprising of a minimum of five people, or alternatively teams spanning three generations, to come out and perform together. Seasoned veterans performing alongside their children and grandchildren - a celebration of participation with widely varying levels of skill, but a shared enjoyment of just doing it. 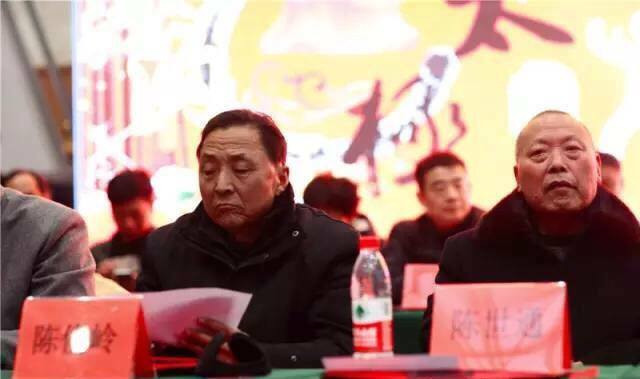 Chen Quanzhong and Chen Bing were among those leading their respective families. In today’s celebrity worshipping culture people tend to focus exclusively on a few elite Taijiquan performers and forget about the contribution and participation of countless grass-roots participants who may never become acclaimed masters but draw a lifetime’s fulfilment pursuing Taijiquan.